All we need is your name & email address so we can deliver the files. 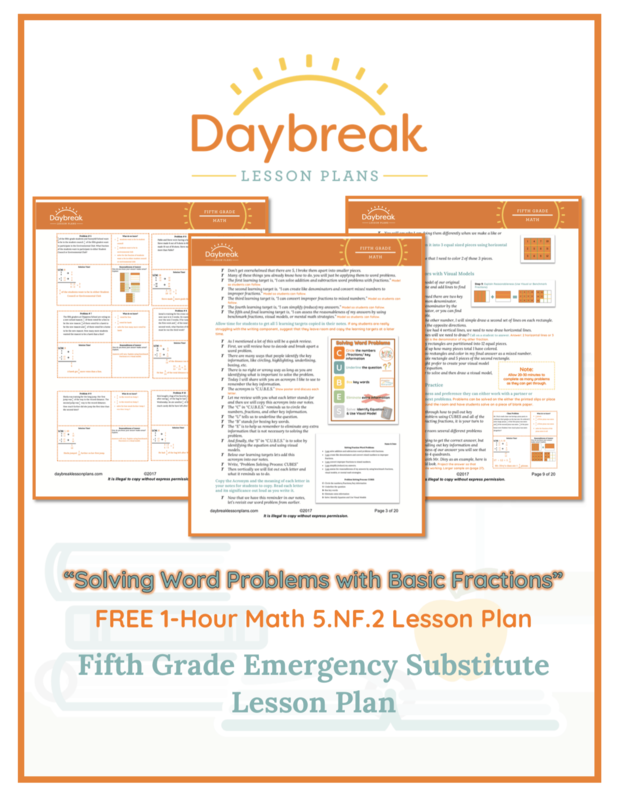 This is a 1-hour, fully scripted Fifth Grade Math lesson plan addressing Numbers and Operations-Fractions: Solving Addition and Subtraction Word Problems with Basic Fractions (5.NF.2). This lesson includes: key fraction vocabulary, helpful student notes for reference, and guided and independent practice of adding and subtracting fractions with unlike denominators. Students will solve addition and subtraction word problems with fractions, including cases with unlike denominators, use visual fraction models and equations to represent word problems, and use benchmark fractions and number sense to estimate mentally and assess reasonableness of answers. 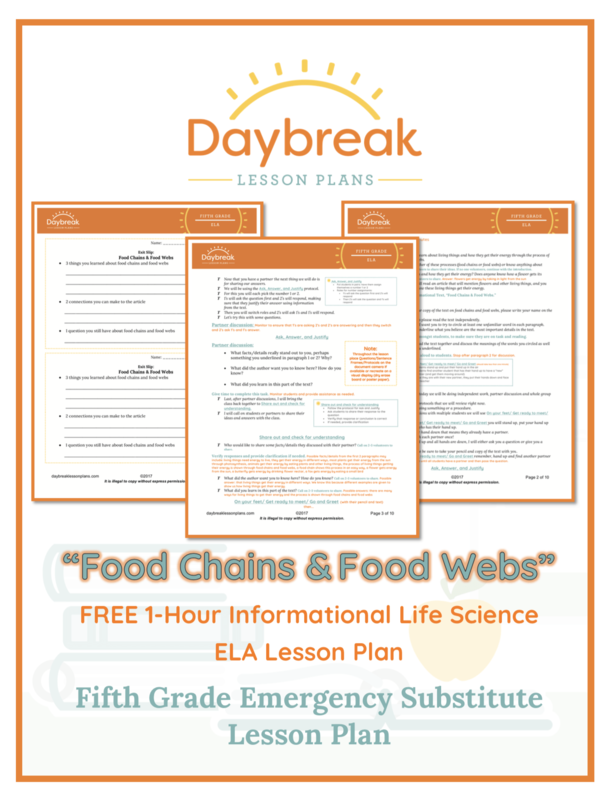 This is a 1-hour, fully scripted Fifth Grade ELA lesson plan using a printable Informational Life Science text, “Food Chains & Food Webs” by Jennifer Kaul. This lesson includes: close reading comprehension techniques, synthesize the text, identify key details, and determine the meaning of unknown vocabulary (RI.5.1-5.4). Students will take literal interpretation of informational text to evaluation and synthesizing.